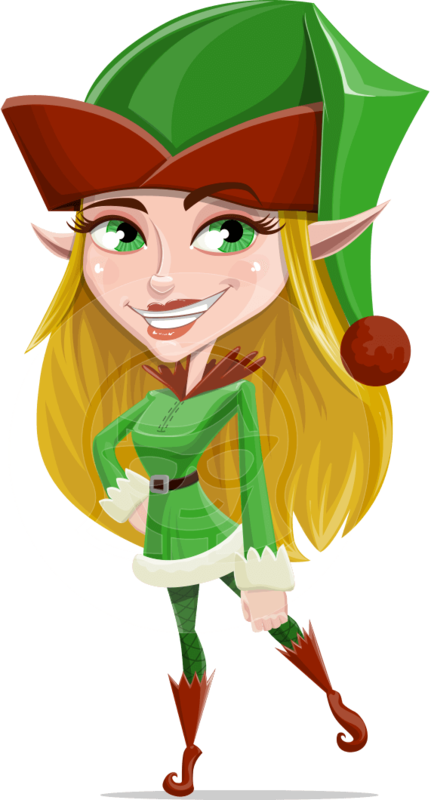 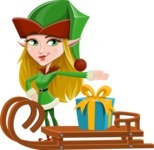 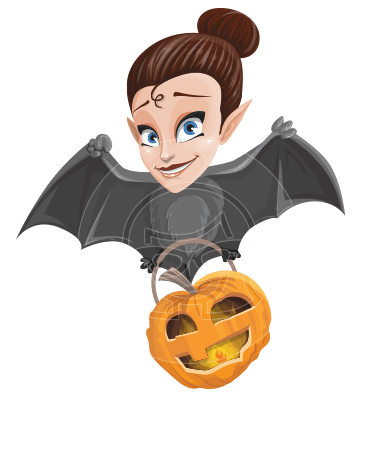 A female elf vector cartoon with long smooth hair and pointy ears. 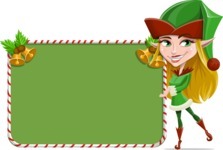 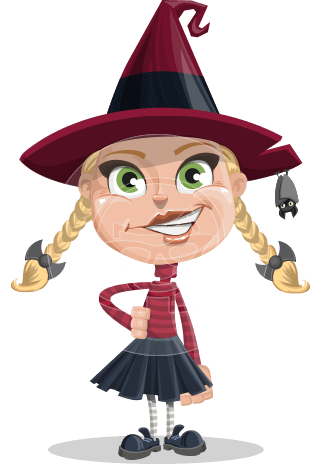 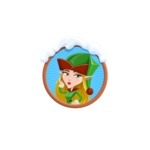 Candy is a sweet and beautiful elf who is dressed in a Christmas-themed outfit and a big hat with a pom pom. 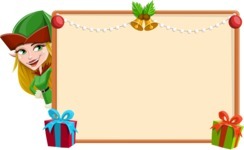 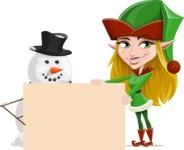 She loves to help Santa making presents and she would also love to help you make your project gorgeous. 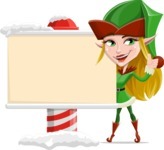 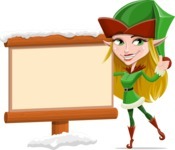 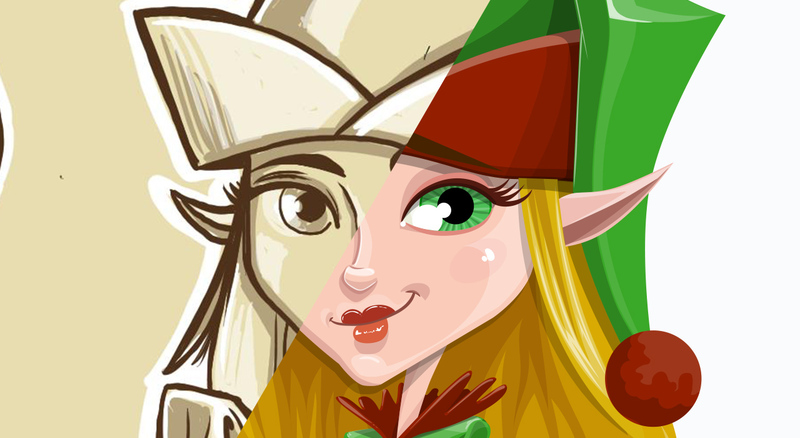 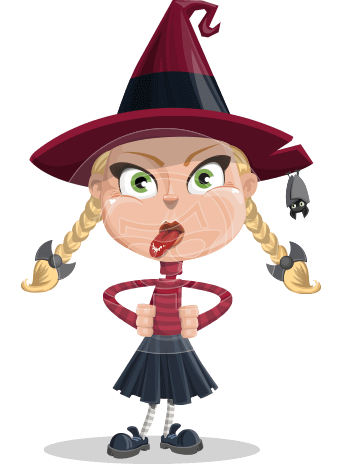 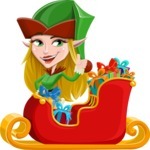 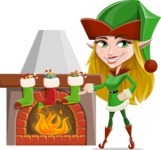 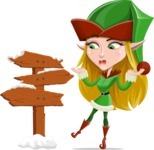 See how this Christmas Elf Cartoon Character was transformed from a Sketch design into a flawless vector graphic.